The Blaze and CRTV are combining to form Blaze Media, which they say will reach 165 million people via television, digital platforms and social media—making it “the largest independent, traditionally conservative multiplatform media company in the United States,” according to a report on TheBlaze.com. 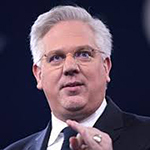 The Blaze was founded by Glenn Beck after he parted company with Fox News, and CRTV was started up by current Fox News host Mark Levin in 2014. The new company will be led by Tyler Cardon, who served as president of TheBlaze, and Gaston Mooney, who was president of CRTV. Effective immediately, subscribers to CRTV and TheBlaze Premium will have access to streaming content from both entities. Nexstar Media Group has entered into a merger agreement with Tribune Media. The $6.4 billion deal would make Nexstar the largest local television station owner in the country, with 216 stations in 118 markets. However, Nexstar has said it intends to divest or swap stations it has in 13 of the 15 markets in which its current stations overlap with those of Tribune. Following the merger, which is set to be completed in the third quarter of 2019, Nexstar would have stations in eight of the top 10 U.S. television markets (including New York, Los Angeles and Chicago) and in 37 of the top 50 markets. Tribune terminated its previous merger deal with Sinclair Broadcast Group in August following regulatory difficulties. According to Variety, Nexstar CEO Perry Sook told analysts that he has already discussed the Nexstar/Tribune transaction with FCC chairman Ajit Pai. Perry also said he would quickly deliver a “comprehensive plan for compliance with regulatory requirements” to the FCC. The News Group, which controls about two-thirds of the magazine wholesale market, is being sold by media conglomerate Jim Pattison Group to New Jersey-based hedge fund Chatham Asset Management in a deal expected to close by the end of the year. TNG will become part of American News Group, a newly formed Chatham portfolio company, joining Comag Marketing Group, which is the national newsstand distributor for such publishers as Hearst Magazines, Condé Nast and American Media Inc. According to Bloomberg, Chatham also has a majority stake in American Media, owner of the National Enquirer as well as a string of such recent acquisitions as Us Weekly, Men’s Journal, and InTouch. The announcement added that approximately 1,500 TNG employees will make the transition to American News Group.